MP-02 can also serve as an unmanned plane. Built on the Mercedes vehicle with specialized off-road suspension, allowing entry into inaccessible places. It is also equipped with a mast, that can be extended to the height of 7 meters while the vehicle is parked. 1. PTZ daylight camera – 36x zoom, 360° head rotation. 2. High sensitivity thermal imaging camera. remotely controlled xenon illuminator with 1 km range. 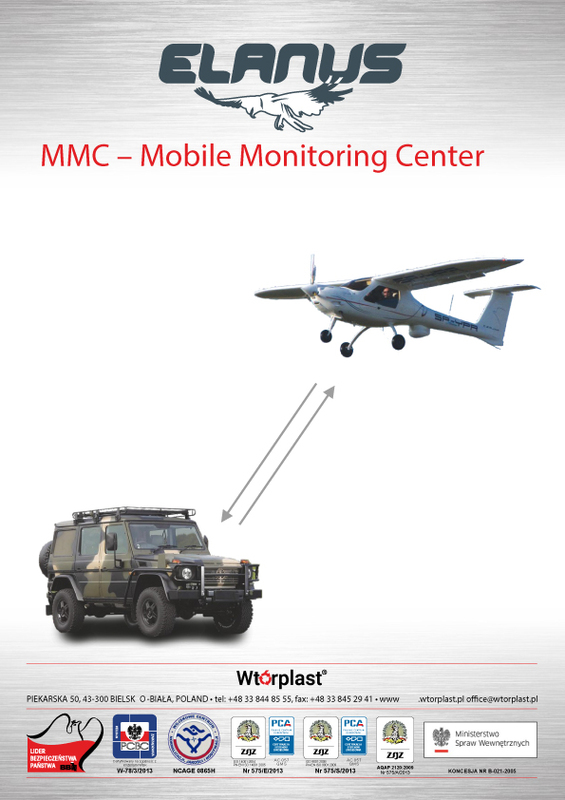 Wtórplast company was awarded the Leader of the State Security – 2016 for the system Elanus details here. Detailed data on the system to download in the “Partners” in the main menu. Copyright © 2016 Wtórplast. Wszytkie prawa zastrzeżone.